After a sports update, hear this week’s press conference with Murray State head football coach Mitch Stewart, and our opening day of practice interview with Racer men’s basketball coach Matt McMahon. A sports update and a recap of this weekend’s Ohio Valley Conference football results and a standings update. After that, interviews for Racer basketball players Gee McGhee and Jonathan Stark. 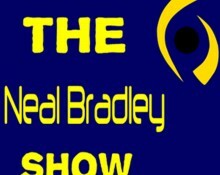 After a sports update, Ed Marlowe of the Paducah Sun talks Racer football, basketball, soccer, volleyball, and women’s golf, plus some high school notes. Washington Post contributor Josh Planos talks college football, then following a sports update, it’s Monday’s press conference from Murray State head football coach Mitch Stewart. Here is a list of the most recent Josh Planos articles No. A review of the weekend of OVC football, the Racer win over Austin Peay with audio from Mitch Stewart, and a recap of regional sports. After a sports update, it our OVC Football previews of this week’s games with information provided by Kyle Schwartz of the OVC. *UT Martin at Tennessee State, 2:00 p.m. (ESPN3) *Murray State at Austin Peay, 4:00 p.m.
After a sports update, The Paducah Sun’s Ed Marlowe drops by to talk Racer football, soccer, and volleyball. Plus, he gives his prediction on the Louisville-Clemson game.